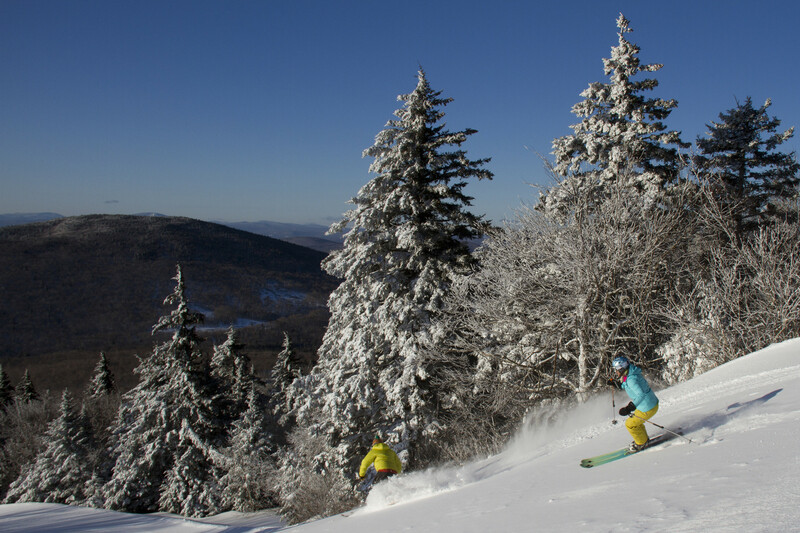 Offering southern Vermont’s highest vertical drop of 2,200 feet and a trail network that spans five distinct alpine areas, Okemo Mountain Resort is a family oriented and family operated resort. Rising about the village of Ludlow, Vermont, Okemo offers 98% snowmaking across its 667 accessible acres with 121 trails and glades and 200 inches of annual snowfall. 31% of the trails are beginner, 28% intermediate, and 31% advanced to expert accommodating skiers and riders of all levels and abilities. For freestylers, Okemo Mountain Resort also features a Superpipe and eight terrain parks. Okemo is the only resort in North America with multiple bubble chairs – and one even has heated seats! Ride to the summit in comfort on Sunburst Six and Quantum Four.